Walking into a marble bathroom is like walking into your own personal palace. 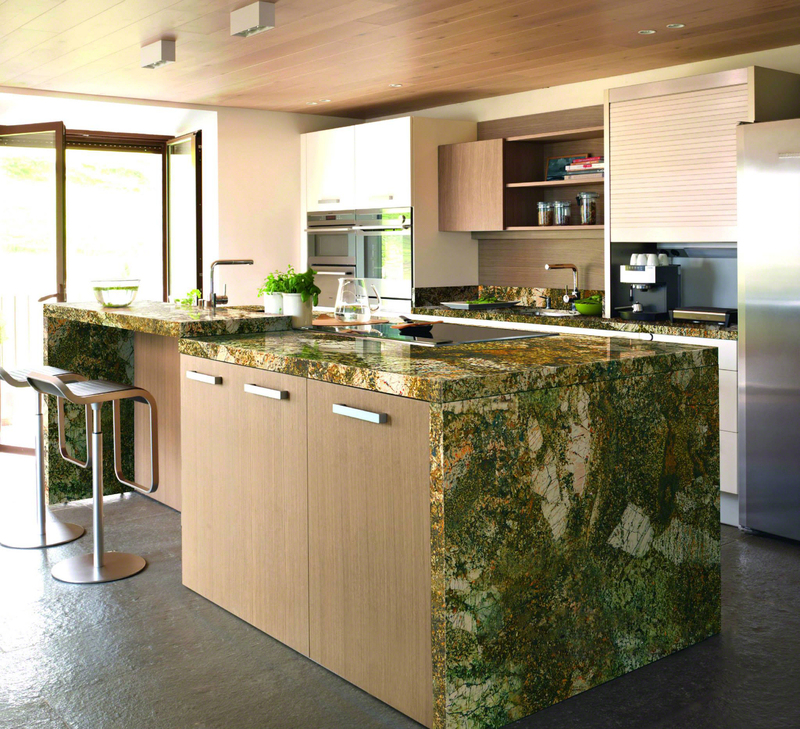 It’s impossible to deny the opulent look natural stone in gives off, making it a favorite for those looking to remodel. There’s something majestic about using natural stone flooring in your washroom. Classic marble may be your first choice when it comes to decorating your bathroom. And why shouldn’t it be? Marble, like White Wood, gives off an immediate air of opulence with its classic look. Just make note of its tendency to absorb liquids (think hair dye, colored soap, or shampoos) and potential upkeep. 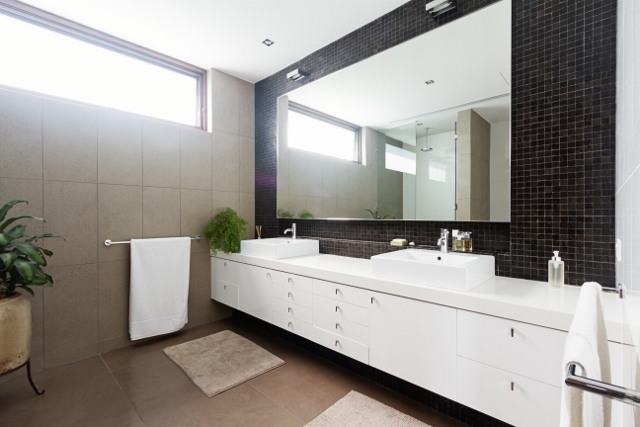 As an alternative, stones like travertine or limestone are both excellent choices for natural stone bathroom floors, as they come in a wide variety of colors and designs. Both are durable, strong, and is dense, meaning they can stand up to heavy traffic and spills in your restroom. Choose classic Travertino Antico for a polished look or make a stunning statement with Fantasy Blue limestone tiles. Make a splash with your countertops and use beautiful stone to highlight your faucet and oversized bathroom mirror. While marble may be a little too high maintenance for your flooring, the low traffic area of the bathroom counter would be much easier to care for. Be sure to seal and regularly clean your marble countertops. For a more durable stone with just as much elegance, try using a striking quartzite, like Ice Quartz, or a bold granite, like Black Absolute. One way to add a splash of elegance to your bathing area is to incorporate natural stone in your bath tile, or the area around your shower. Not only will this add an air of sophistication to the room, it also stands out as a great focal piece. Gorgeous marble, travertine, and limestone also look magnificent as a backdrop for a glass shower. If you love the look of a natural stone slab, why not let it be the focal point of your bathroom space? For symmetry and elegance, opt for a bookmatched marble slab, like Statuario. Bookmatched slabs are cut in a way that the two sides are mirrored like each other. This look is ideal for a luxurious statement piece in any bathroom space. No matter what your style or budget, natural stone options provide you with a variety of patterns and looks that are sure to be a perfect fit for your bathroom. To see more of Marmol’s available stones, visit our catalog. 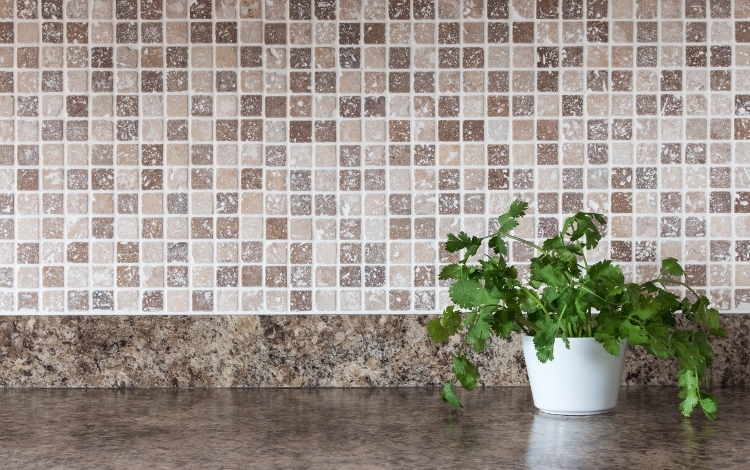 Whether your taste is vibrant, with colors like bright green, rich red, or deep orange, or more subdued shades of golds, grays, and blues, colorful countertops can become the brilliant accent piece that your space needs!